By the time it was Final Fantasy VII’s turn on the Summer Games Done Quick schedule, the trio of runners were already tired. A mixture of nerves and anxious excitement had kept them from getting a full night’s sleep, and starting at 1 a.m., they were about to steer the graveyard shift through eight solid hours of Final Fantasy. Ben “Ajneb174” Szewczyk took the controller, while David “Davesterio” White and James “J2” Weingartner sat on the couch. The result was a hit, an overnight run that became one of the highlights of this year’s Summer Games Done Quick. The commentary was informative, the trio of runners were charismatic and amicable, and the run itself was packed with unique insight into the machinations of a role-playing game classic. Step counts, “random number generator” (RNG) manipulation and one Tifa equipped with Deathblow all combined to make an epic, traditionally 40-60-hour experience feel like a breezy eight-hour game. Beating Final Fantasy VII in just under eight hours means following a very specific route. From the start, Szewczyk had to keep track of his steps as he tore through the first reactor, building up his limit breaks on the Guard Scorpion boss to save them for a boss in a later stage. Using an exploit in the way the game handles movement during story scenes, players like Szewczyk can unfreeze Cloud during dialogue to move him through long sequences and conversations faster, like one early in the game at the bar. The route goes through the entire game, taking the minimum amount of items and breaks, often running from fights rather than duking it out. The speedrunner will rely on weapons like Tifa’s Powersoul and Deathblow to deal huge damage to bosses. One guide even details a “wait trick,” where the runner can use an exploit in the game’s battle system to allow characters like Tifa to act twice against enemies. For the SGDQ runners, planning had started long beforehand. To make this particular speedrun more marathon-friendly, Szewczyk chose to route in extra items like potions and Phoenix Downs, and even an additional move in Aqualung to ensure tough fights like the Red Dragon would go smoothly if the randomness wasn’t on their side. “As soon as I got into SGDQ, I had to change my route so I have way less chance of dying,” said Szewczyk, who played for all eight hours. There are several moments in Final Fantasy VII that can instantly kill a speedrun. A boss using one wrong move can cost hours of progress. While it’s easier (and less psychologically damaging) to start from scratch on a shorter game, Final Fantasy VII is enormous. Losing a run after five or six hours can be devastating. Weingartner, one of the two commentators, has been playing Final Fantasy VII for 20 years, since he first opened a Christmas present with a PlayStation and the multi-disc set inside. He’s been running it for less time, and due to a full-time job hasn’t found the time to competitively run as often anymore. That “step count” is the most strenuous part of speedrunning Final Fantasy VII. Though the game’s encounters are referred to as random, runners have found that they’re actually tied to an in-game pedometer, and by taking a certain number of steps, the runners can trigger advantageous fights when they need them most. “Most players don’t know you can get a preemptive strike on bosses,” said White. “But with manipulation we can.” The speedrunning community refers to multiple guides, most notably this video by XeroKynos, which detail the scripting and battle mechanics that drive Final Fantasy VII. It’s not the most obvious or flashiest strategy, but step manipulation is a key to speedrunning FFVII. The other key mechanic to FFVII’s endurance run is “mashing,” which is jargon for rapidly pressing the O button to advance dialogue. Text boxes tell the story of Final Fantasy VII, and there’s a lot of them in the game that runners want to advance through as fast as possible. It isn’t just about repetitive motion, but getting the proper cadence, as each box has a frame associated with it. The longer that frame lingers, the more time you’ve spent looking at a textbox instead of progressing further. The current world record for speedrunning Final Fantasy VII in this category is 7 hours, 34 minutes, 46 seconds. During the SGDQ marathon, Szewczyk finished at 7 hours, 48 minutes and 4 seconds, faster than the 7th place position on the leaderboards. “You’re bleeding time just by not mashing faster,” said Weingartner. The speedrunning community even has rules in place, according to region, over the usage of Turbo controllers—third-party controllers that can repeatedly input a command with the press of a button. Between those complex mechanics and the precise routing, in which the runners mapped out exactly where to go and what to do over the entire eight-hour run to ensure that every fight was safely beatable, there was a lot to take in. Though the runners had notes to reference during the segment, a lot of it came down to simple execution. If you noticed that Szewczyk was silent for most of the run, that was on purpose. Navigating the game’s menus to manage items and equip gear was like a minor speedrun in itself. The goal, for Szewczyk, was to spend as little time as possible flipping through windows and statistics. And every time they found a new route or mapped the run slightly differently, Szewczyk would have to memorize new loadouts and menu movements. All of this led to a fully optimized speedrun of a game that takes normal people at least 40 hours to finish—a run that, years ago, was thought impossible. Weingartner, who’s been involved with the VII community for years, related to me all the different challenges and guides built on forums like GameFAQs, spearheaded by users like GarlandG who spurred players to play the game in new ways. After many attempts the 12-hour mark was beaten, and runners began dissecting the game into segments, optimizing spaces between save points to create segmented speedruns. Nowadays, runners like White work on new optimizations and skips, still seeking ways to cut the hour-count down even further. 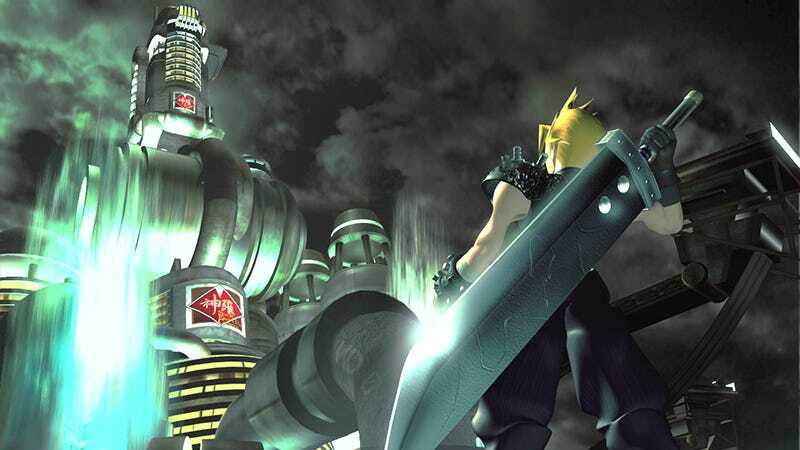 Szewczyk, the SGDQ runner who holds the second place for Final Fantasy VII in Any-%, No Slots on the game’s speedrunning leaderboards, said he was happy to showcase the game to a new audience. When I spoke to the three runners in the days after SGDQ 2017, two of them had already re-streamed their entire run on Twitch for viewers, providing commentary over it.. Prior to the run, the trio worked on their presentation, practicing a segmented run of the entire game. Ben Szewczyk focused on playing and keeping track of mechanics, while David White and James Weingartner provided commentary, story exposition and Did You Know trivia, all without leaving the couch once. This category stands out from other Final Fantasy VII speedruns that run much faster. On the PC version, speedrunners can use a save glitch to skip giant chunks of the game, allowing them to finish their runs in just under three hours. The Any-% runners on the original PlayStation, however, have to go without that warp trick, playing through the bulk of the game’s story. For aspiring runners inspired by the eight-hour test of endurance, all three noted that love of the game will get you farther than most. Long runs are challenging, but any speedrun is driven by passion for the game, not just a desire to play any single game fast.